Not getting into forced induction right now, let's talk about displacement. It's simple : Bore and Stroke and the number of cylinders. Our 911s have limits on how big we can make the cylinders before the walls get too thin. So we turn to 'Stroke'. 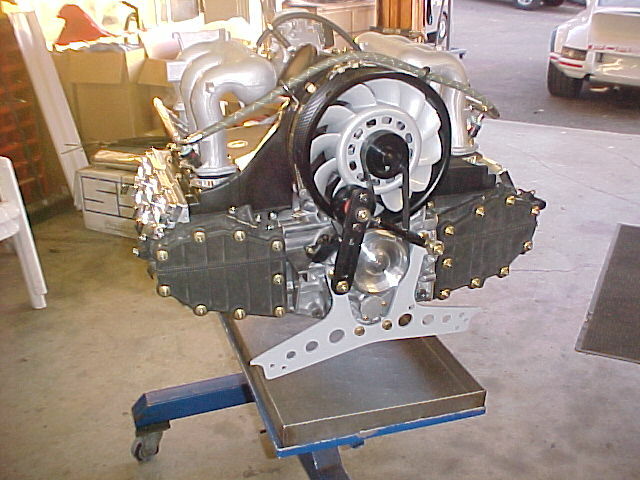 As far as most engines are concerned, 911s are very oversquare (much bigger bore than stroke) and that generally makes an engine inclined to rev. If we try to lengthen the stroke, the rod length/stroke ratio can become a problem, because we have a fundamental maximum width that the engine can be. As you can see if we tried to build a 3.6 with a RLSR (Rod Length:Stroke Ratio) like a 2.0L, we would have a 150.5mm rod, which would mean the engine would have to be about 2" wider (23.5mm on each side). Of course, the discussion about *WHICH* RLSR to use is more complicated than I am wondering right now, I am just curious, if we desired, say, a 1.7:1 RLSR and wanted a longer stroke, how much wider can we make the 911 engine, and what other issues would we run into? Do we have interference with the oil pump ? What is the maximum we can do here? And short of custom cranks, how far can we push a standard 964 or GT3 crank in terms of stroke? I think I have heard about 78.x mm but is that verified? Could we do more if we used smaller rod bearings? Right now, if 78mm is possible, with a 105mm cylinder (possible) you can make a 4.05L motor! But to get a 1.7 RLSR, we would need to widen 6.4mm on EACH side the engine to use a 132.6mm rod. Last edited by YTNUKLR; 08-04-2011 at 12:11 PM..
Do we have interference with the oil pump ? Looking forward to your replies! Yes. Carrillo wants you to massage the pump on a 3.6 with their rods. The NEW GT3RS 4.0 oil pump has apparently some clearancing although I have not seen it in person. 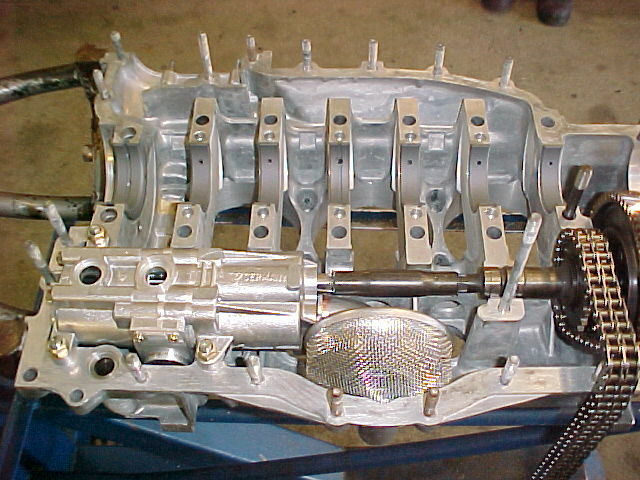 As to the cranks, the limiting factor is the bore spacing that porsche used. Some guys have tried to overstoke but reliability ultimately falls short. Would that be the CMW 82mm Billet Crank? Are there others on the market? Yep, crank looses rigidity- shifts the rpm where flywheels shed down into the more frequently used region, if I understand correctly. I know of at least one 2.8 long stroke RSR motor (not factory RSR parts) which got a "better" RS ratio by just lengthening the rod. Had to section the plastic engine cover to extend it some, use thicker cylinder base spacers, make chain box spacers, longer chain (should be simple to do that) or shorter idler gear, and something to deal with the carburetor actuation system - maybe just lengthened the cross rod. Don't know what they did about head studs (this pre-Supertec). There is a guy racing a 4.0 air cooled 911 motor. Works very well indeed, so that displacement can be achieved. I have heard less than stellar results when stroke gets too much. I could not comment on who's product that may be, but it's more a limitation of our engines that produce weaker cranks as stroke goes up. Porsche did not have a big window in regards to harmonics. 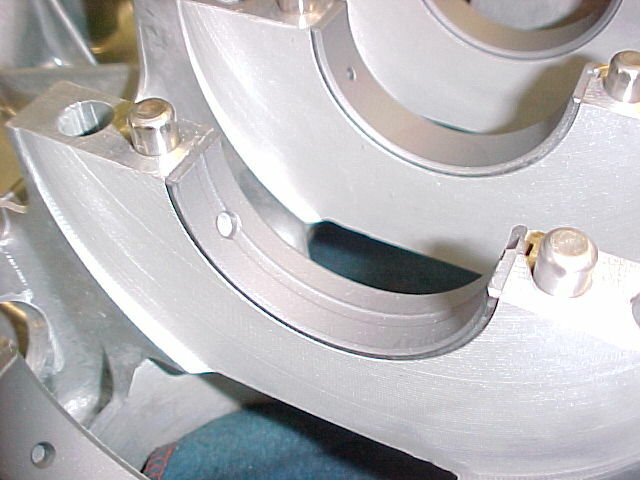 The cranks need at least 1mm more material on each side of the journal to sufficiently strengthen the crank. However if you build a big low rpm moster and keep the rpms low(6000rpm) then that could be a viable engine. The new DFI engines are much taller with the anticipation of more stroke in the future. I am not sure on the bore spacing. Jim Copp with the POC runs a 4.2 in his '71 racecar, if I remember correctly. It's got lots of trick parts, top secret of course. 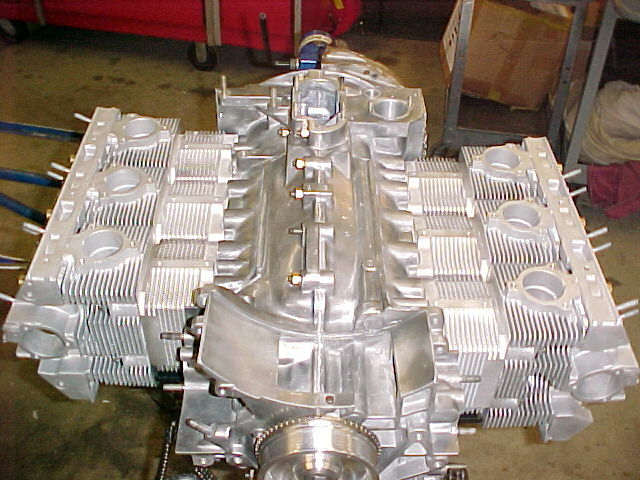 We built a 4.0 using a GT3 crank and rods, 993 case 964 heads with titanium valve and NL Nickies.The engine ran 200hrs before it's first freshen up. The RPM was limited at 7400. Last edited by Henry Schmidt; 08-06-2011 at 11:41 AM..
Why 964 heads instead of 993 heads? Because it is what the customer had? Did you use the 993 cam carriers? Those look like they are so much easier to work with when installing the rockers, plus they can't leak out past the shafts. ...searching up old threads on odd ball 2.8 builds cross rod had a splice welded in. Rods are really long btw. ...I was thinking about calling Peter. My engine was just torn down. I believe Peter built it originally. Rods I believe are 139.8 mm. This is on a long stroke engine. Agree to a point but not absolute. I am happy to give my opinions and share my experiences when solving a problem, but this is right in our wheel house and our core business. To offer up what we do in situations like this would be giving away our IP. However, I would suggest you don’t disregard working on your engine’s efficiency altogether. Looking at making your engine more efficient doesn’t necessarily mean you are going to make it non-street able. You will find that there is an amount of HP that can be influenced before adding displacement. Making sure every clearance is correct, every part is in spec and closer to the minimum tolerance, lowering engines friction with coatings and micro polishing, using lighter internal parts, lowering any forces that are often taken for granted, all very important in clawing back lost power in running your engine. Controlling the engine harmonics, so that the valve timing stays where it should through out the engines RPM range, making sure that each cylinder outputs the same torque number amongst many other areas that should be given attention. Give these some attention and you will be surprised how much added performance you will gain. 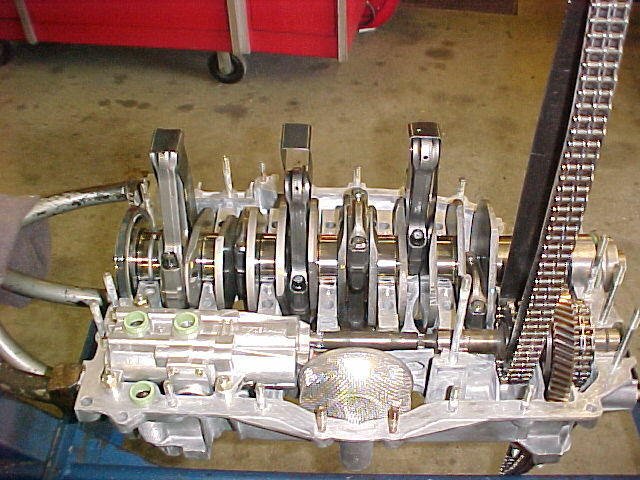 Making some positive changes here will only help when you do add to the engine’s displacement. On my case, we can make the "thickness" of the case...i.e. 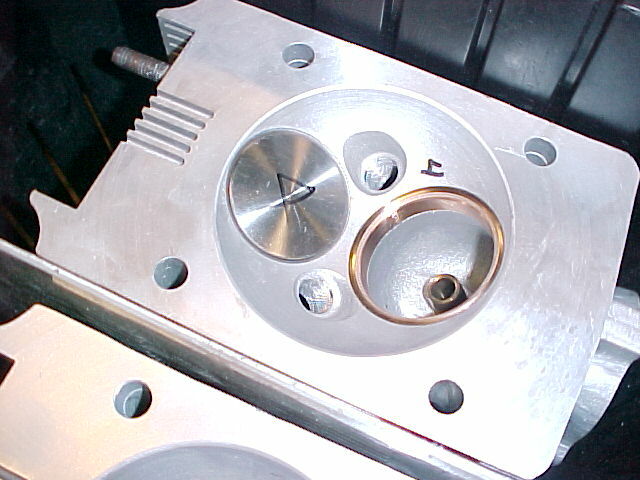 the dimension from the cylinder spigot face to the case parting line SIGNIFICANTLY thicker than stock. We have over 1/4" of material to play with here. We did that because of two reasons: 1) to give us enough material to ensure true flatness and 2) for the eventual customer that would want way more stroke or lower compression for an insane turbo build. Faapgar - tell us more about installing valve springs upside down. The ones I have used -- stock, and Aase -- look symmetrical to me, and I don't recall anything in the Factory manual about this. Who makes progressive springs? Where do you want them to be strongest - at peak so the rocker doesn't fly off of the cam? Or at closure, so the valve head doesn't bounce? To keep this discussion focused on 2.8s and Henry's work of art and so on, see new discussion: Progressive Valve Springs.